Please ask for free consultation. Announcement: I am partnering with Tailored Living of North Atlanta. 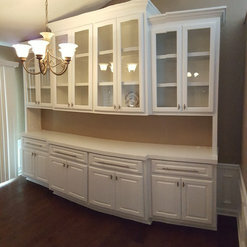 With my partnership with Tailored Living, I can continue to provide my customers with custom furniture and built-ins. 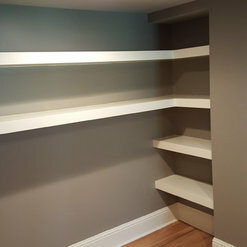 In addition to carpentry, there will be many custom storage solutions that I can provide going forward, including custom closets, garage storage solutions, and more (overhead racks, motorized racks, slat walls, bike racks, and more). 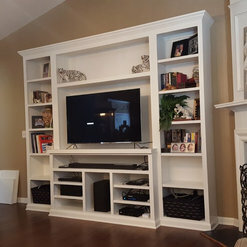 I will continue to update you as I integrate with Tailored Living to bring the best carpentry and storage cabinetry solutions to North Atlanta area. Thank you for your support. - Stewart True I do a lot of fireplace built-ins (for the alcoves on either side of a fireplace). 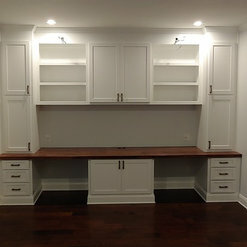 After that in approximate order of popularity for me are: mudrooms (hall trees), wall-to-wall cabinets/bookcases (for home offices usually), banquettes, laundry rooms, garage storage cabinets, closets, basement storage, etc. I have to say that my structural and finish quality is better than builder quality and I'm going to be more open to working with you on customization of the design. We could not be happier with how our new home office turned out! 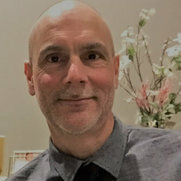 From the moment I contacted Stewart via Houzz, he was not only extremely responsive but also very generous with his time in helping us plan out the project. While we did provide him with a basic concept, his thoughtful suggestions truly helped pull it all together. Stewart was extremely professional and considerate when working in our home and maintains a very clean work environment. Despite sanding, staining and painting in our home, there was not a spot of dust left behind. 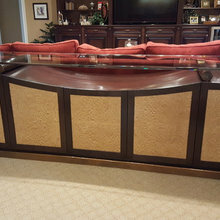 It is obvious that Stewart takes great pride in his work and we are just so glad we stumbled upon his highly reviewed Houzz page when looking for someone to construct our office built-ins. As others have said, he does book up fast but you will not be disappointed! 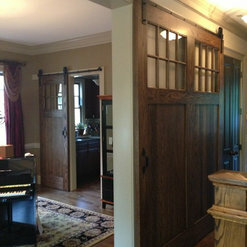 Look no further for your carpentry needs... Stewart is who you want to hire! He gets booked up fast but he is worth the wait. Serious attention to detail. Very responsive and great to work with. Listens to the customer while also giving honest feedback. While waiting for our project, we asked for a design change to which he was quick to give us an updated quote. 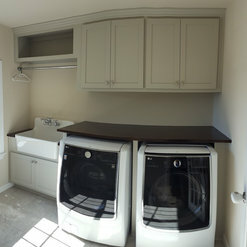 We love our new mudroom and are excited to use it for many years to come! 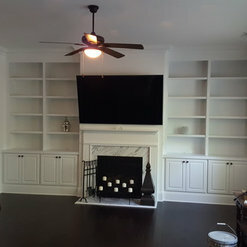 Stewart took time to listen to what I wanted and gave me expert advice on getting the Media Cabinet to fit in my complicated space which was dealing with a vaulted ceiling and a corner fireplace and centering my cabinets in a room that was not centered to the main wall. It custom fit all my components measurements and he made sure I was happy with everything before he started. He also built a large Butler's Buffet and made sure my dishes and platters would fit. 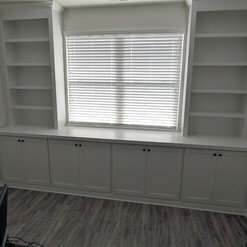 The adjustable shelves made it possible for me to put any large items in that I had. Both turned out beautiful! Stewart is very professional and everyday leaves the area clean. I am extremely happy with his work and amazed at his perfection. I think this type of interaction with my customer- the willingness to patiently "sit" with them and the design process until it feels complete, not compromised, is what sets me apart from others, perhaps. (Although, there IS no competition here, in that regard.) And in fact it is a big part of my enjoyment of this work. I have to say, not to cheapen it but to bring this realm into the "real" world, but I see the entire process as a spiritual one. How much can I give? That's the question. Not, what can I get by APPEARING to be giving as a matter of calculated policy. 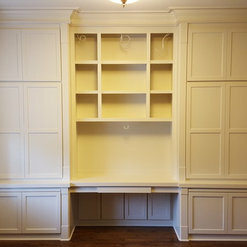 We had very specific ideas for floor to ceiling office cabinetry including a desk, some open shelving, large doors and hidden wire runs along the wall. Stewart was able to accommodate all of our requests. He is timely, efficient, keeps an immaculate work area, and has fantastic communication. Amazing work and his attention to detail is very impressive. Stewart is professional, meticulous, and a great communicator when it comes to managing the entire project from design to installation. Truly a very talented carpenter and I highly recommend his work. We look forward to using him again on future projects. I can work with (almost (: ) anyone, so I don't want anyone to think that my ability to serve them is going to be limited by who THEY are...their personality or level of attention to detail or whatever. But I have to say that some customers should be acknowledged for their SKILL at BEING a customer, if that makes any sense. You are one of them, Rob. Your easy-going attitude, your flexibility with scheduling, and your lack of fixation on design details, made serving you a pleasure, and made me want to OFFER you my best, not supply it as something rigidly demanded. That being said, some customers in the past who DID rigidly demand a certain level of quality that I may have at first felt was simply unreasonable, turned out to be great teachers, insofar as that I learned that I COULD do more than I thought I could. It was a pleasure working with Stewart. Extremely professional and hard-working. I was looking for a timely and detail-oriented individual, and Stewart definitely fit that bill. Highly recommend for any carpentry project, and we will for sure be calling on you again in the future. 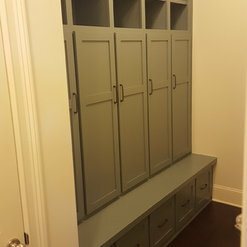 Thanks so much for the beautiful mudroom and living room builtins! The most professional carpenter we have ever worked with!! Stewart is kind, on time, neat, and creates beautiful pieces for your home!! He is creative and quite a problem solver during the design phase. 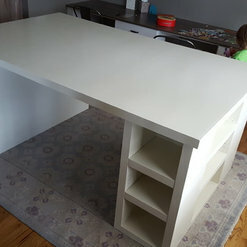 I had a few specialty requests for my new "workspace" and he was able to create them all!! Thoughtful, meticulous, conscientious, good communicator. Sometimes what seems a simple design requires much attention to detail. Stewart took the time to plan everything out and made practical recommendations to enhance functionality and durability. I would recommend Stewart without hesitation. Thanks so much for your review and the pictures. The altar and the fish tank are just beautiful, and a perfect balance to each other in many ways, I think. I'm so happy that you are happy with the result. This is why I do this. 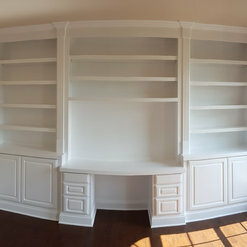 My wife and I are completely satisfied with the built in bookcases Stewart created. Masterfull work. The quality is excellent, he pays close attention to detail, and is efficient. 100% chance we will use Stewart in the future. You won't find a better carpenter. Stewart did a great job designing, building and installing built-ins with window seats around our fireplace. We just completed a whole house renovation of a 70's ranch style home and wish we knew about Stewart before hand. His attention to details and aesthetics are spot on and his work is professional craftsman quality. Stewart communicated well, was on time, and he did what he said he was going to do, for the price he said he would do it for. I've dealt with a lot of contractors over the past two years having renovated two homes, and coming away at the end of a project feeling good about the whole experience is rare. Working with Stewart, we can honestly say that the whole experience was great! Thanks Gary. Exceeding customer expectation is really the bottom line for me. I'm not happy unless the customer is happy, bordering on ecstatic, or at least pleasantly surprised. Doing the work, in the way that I do it, is just means to that end. It was a pleasure working for you (and I'll have your next estimate in a day or two). Stewart was professional and prompt. He communicated very well, showed up when he said he would and finished the project on time and within budget. And, by the way, his work was exceptional! We will definitely use Stewart again! Commented: Childs room 2 loft bed with sitting area and desk areaTwo twins, but the design can be adjusted to fit whatever beds you have, given the space you have. Commented: quotIt depends on many factors, but around $2000. Much less without a back and/or without access to the inside for storage (no top lids). More with drawers.